Anyone who’s ever learned how to make sauce vierge will know that the use of the word sauce in its title is perhaps a little misleading. Sweet tomatoes, fragrant coriander seed, and freshly chopped soft herbs, all mingled together with fruity extra virgin olive oil is definitely something I’d call a dressing. For me the word sauce conjures up images of rich, silky, indulgent liquids made with large amounts of cream and butter. Sauce vierge on the other hand is something a lot lighter, better for you, and ultimately very tasty. It’s little wonder that it’s a sauce I come back to again and again. It’s a classic companion for any type of white fish, shellfish, and even works well with pasta. Any leftovers make a great dressing for potato salad too. 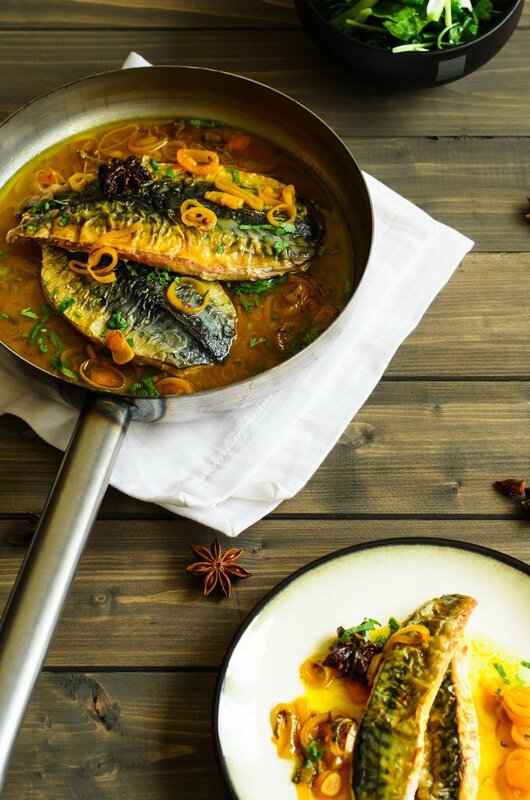 Mackerel Escabèche – Fillets of fresh mackerel poached in a vinaigrette flavoured with balsamic, saffron, and spices. I need help for my mackerel addiction. My infatuation with this fish has been going on for a while now and I can’t see it ending anytime soon. It’s just so tasty and cheap that if I see some freshly caught fillets sitting on a fish counter they somehow magically end up in my shopping basket. I realise that not everybody shares my craving for this cheap and sustainable seafood. I’ve tried putting in on menus in various restaurants where I worked over the years and it’s never been a great seller. 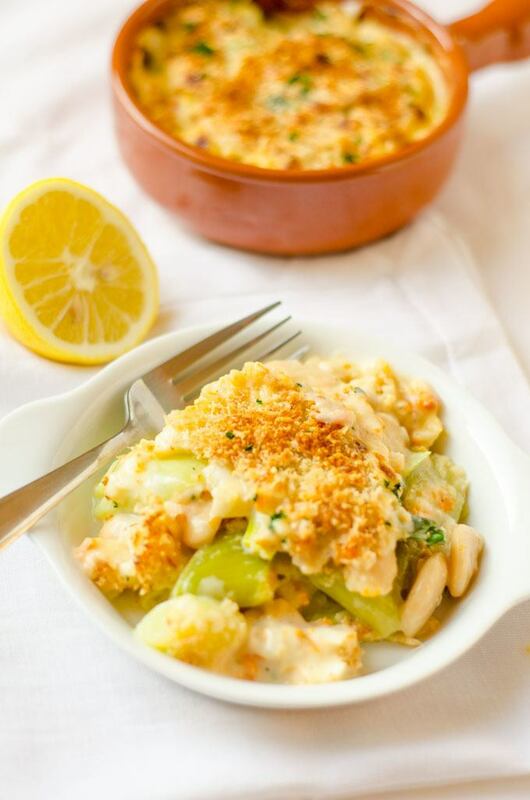 Chunky flakes of haddock encased in a smooth, smoky sauce. Loaded with rustic leeks and butter beans, topped with golden, crunchy parmesan. I Love good friday. Its one of two days during the year that i know for sure I won’t be working. The other been christmas day. Bars, restaurants and cafe’s the length and breadth of the country are forced to close due to the fact they serve alcohol. This gives hard-working restaurant chefs the chance to relax and put the feet up.